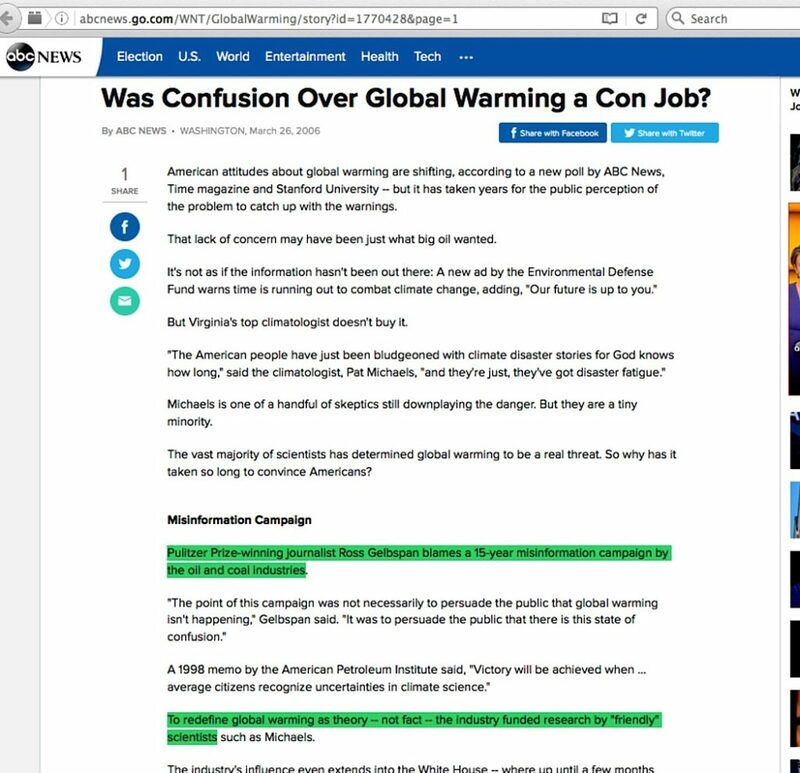 Perish the thought of the news media actually giving skeptics a fair shot at defending their science assessments, such as the way the PBS NewsHour has demonstrably excluded them from its program for 17+ years. Otherwise viewers might perceive a significant flaw with the “misinformation” accusation. But since we are talking about journalists who must aspire to do reporting worthy of a Pulitzer Prize, we have to wonder how they let Gelbspan’s “Pulitzer winner” label go unquestioned. Surely, if an ex-editor/reporter gains fame as a Pulitzer winner, we have a giant problem if he never won a Pulitzer, don’t we? 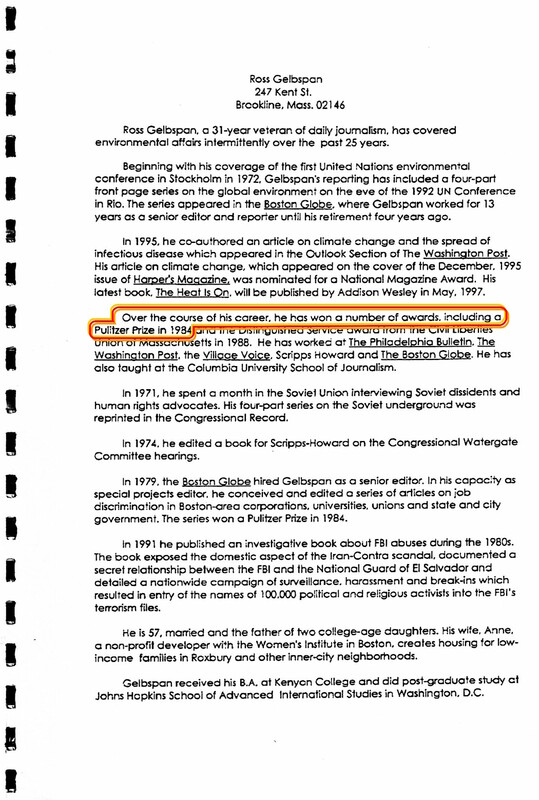 Defenders of Ross Gelbspan will be quick to point out he conceived, directed and edited a series of 1984 Boston Globe articles which resulted in Pulitzer Prizes awarded to the seven reporters who did the reporting – named in the third paragraph at the Pulitzer organization’s web page here. So, he came up with an idea about a series on race relations, he probably pointed the reporters toward the best way to report on it and who to interview, and then he tidied up their writing like any skilled editor is expected to do. Big deal. But why the need for a defensive narrative? It becomes crushingly obvious in short order. 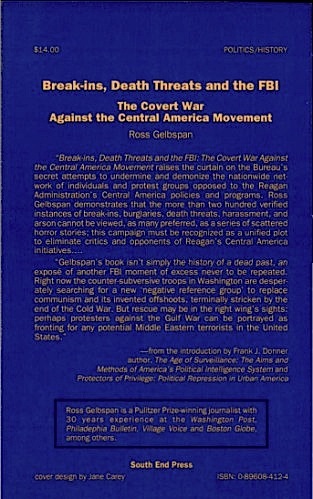 Ross Gelbspan, a Pulitzer prize-winning reporter for the Boston Globe, is the author of a forthcoming book on the FBI’s campaign from 1981 to 1985 against groups critical of U.S. policy. 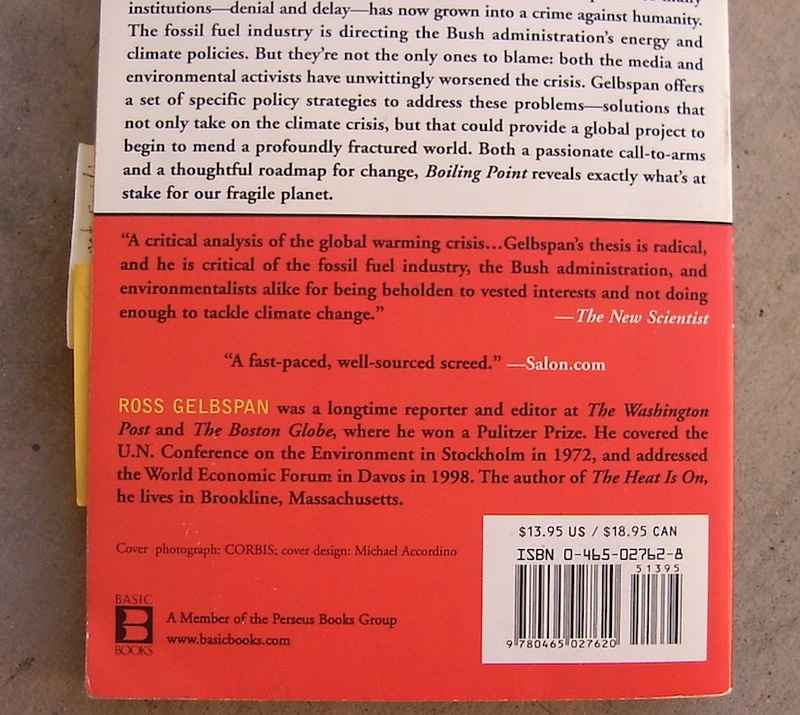 Here’s the back cover of his 1991 “Break-ins, Death Threats and the FBI” book (click image to enlarge), where it plainly says in a dark border box at the bottom, “Ross Gelbspan is a Pulitzer Prize-winning journalist with 30 years experience…”. 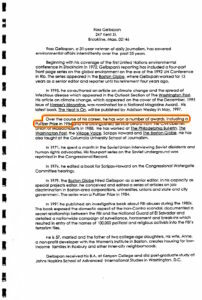 When Gelbspan was invited to address public functions such as meetings held by reinsurance organizations, he apparently offered some sort of information packet about his work which included his 1996-97 bio page saying, “Over the course of his career, he has won a number of awards, including a Pulitzer Prize in 1984“. 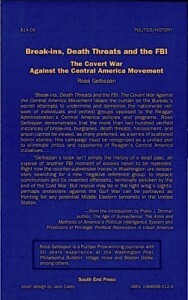 The title – and Gelbspan’s track record as a Pulitzer Prize-winning journalist – pretty much says it all. 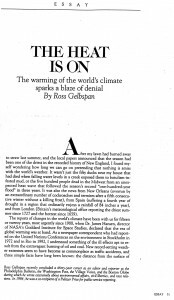 THE blend of passionate advocacy and lucid analysis that Ross Gelbspan brings to this, his second book about global warming, is extremely readable because the author’s voice is so authentic. … For a Pulitzer Prize-winning reporter at the top of his game, this is a career detour requiring courage I greatly admire. 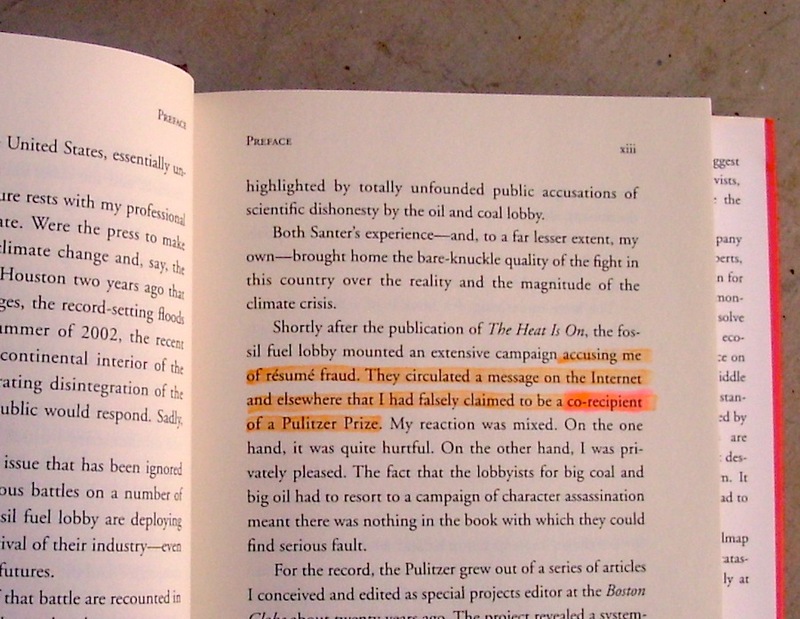 Shortly after the publication of The Heat Is On, the fossil fuel lobby mounted an extensive campaign accusing me of résumé fraud. They circulate a message on the Internet and elsewhere that I had falsely claimed to be a co-recipient of a Pulitzer Prize…. He repeats this in a 2006 video interview (backup link here) and the clincher is the exact point I capture in the photo here. Replay the video several times if needed, tell me there is not the briefest pause at this point, where he seems to be forming his mouth to begin saying “w–” before saying “been a co-recipient“. As in, “never won a Pulitzer Prize”. The distinction is critical. 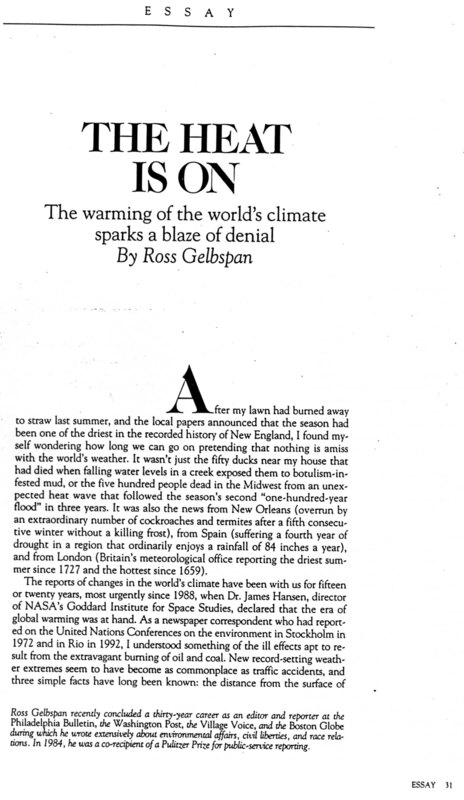 This spring, SEPP and its president, Dr. S. Fred Singer, again came under attack–this time in The Heat is On, a book full of specious science and equally specious conspiracy theories by retired Boston Globe journalist Ross Gelbspan. 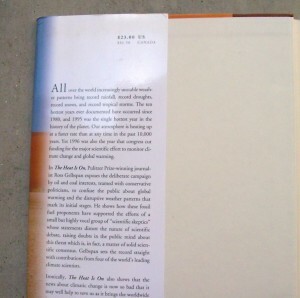 The allegations, at this point, are a bit shopworn, but this time at least the author is interesting. 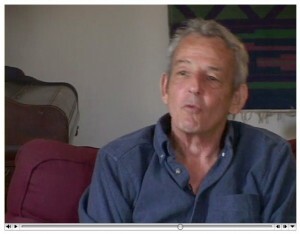 Mr. Gelbspan, for example, claims to be a “Pulitzer Prize winning journalist.” He is not. 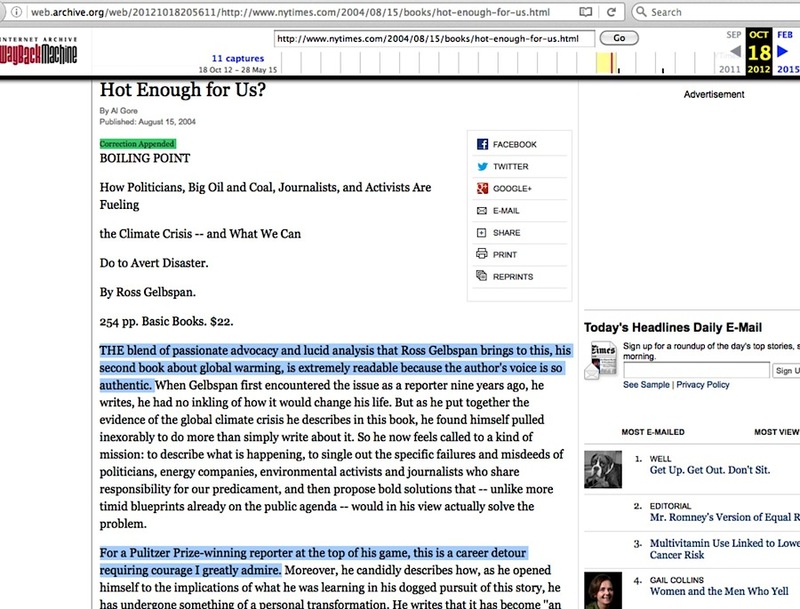 There is no mincing of words here by the ‘fossil fuel lobby’, no dodgy caveat of ‘co-recipient‘, no twists on the manner in which he was associated with seven reporters who actually won the Pulitzer. They said straight out he did not win it. When is a “Pulitzer Winner” not a Pulitzer Winner? Arguably when open-minded people see the individual has every appearance of attempting to justify the incorrect label with minced, dodgy explanations that do not validate it. Attempts to create a “co-recipient” designation only worsen the situation, since the Pulitzer organization offered no such thing in this case. 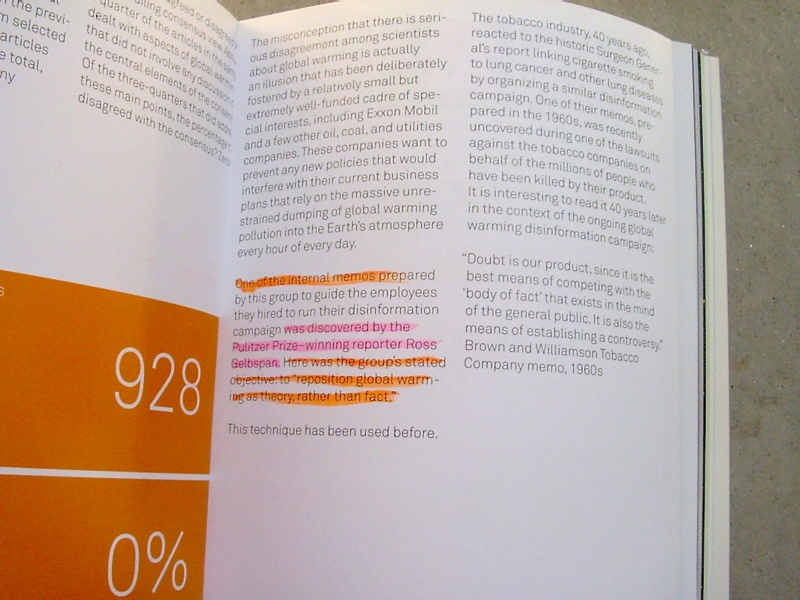 Skeptic scientists stand as a bulwark against scientifically supportable greenhouse gas regulation, but we are told to ignore everything they say because they are ‘corrupted fossil fuel industry shills who lie about the issue’. 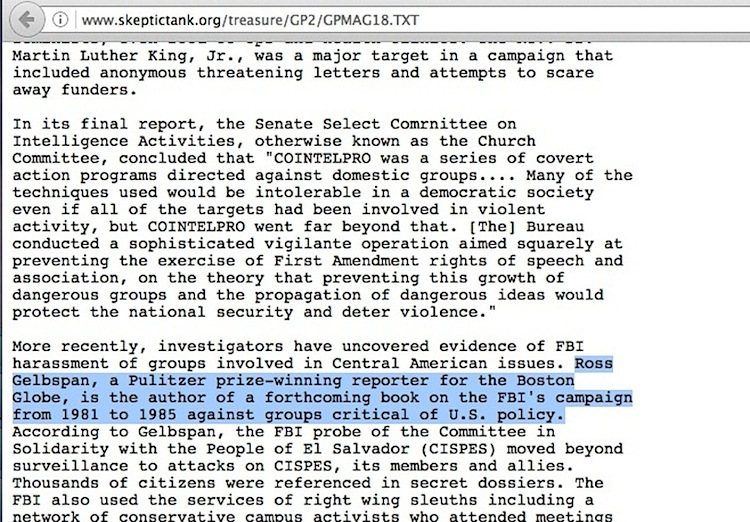 And we should trust this accusation since it comes from a Pulitzer Prize-winning journalist…. 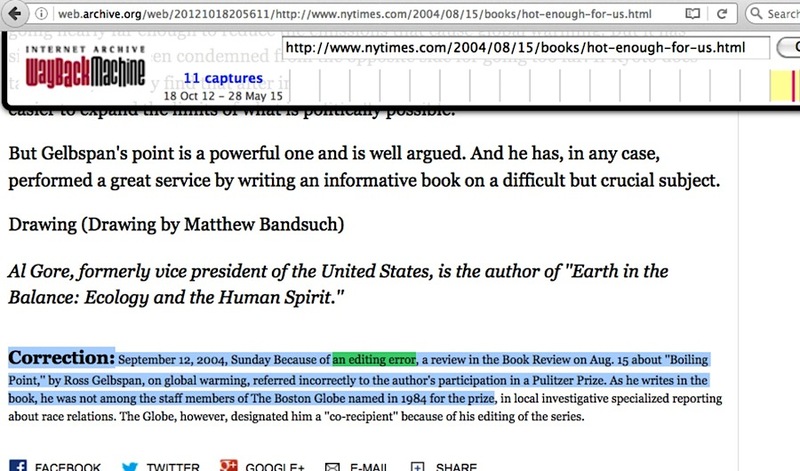 who never shared his evidence for it with the public and who can’t defend his Pulitzer label. 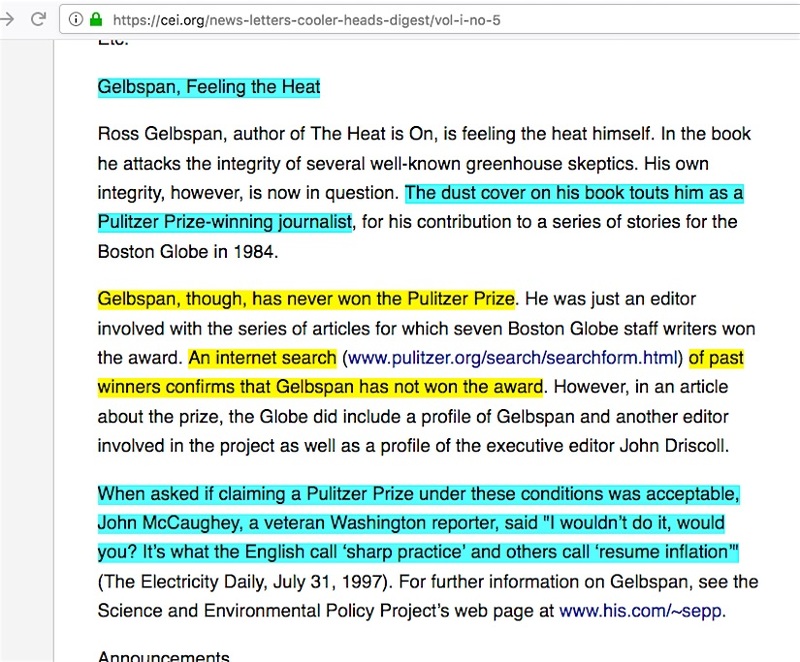 [3/12/14 author correction: I thought Gelbspan’s paperback preface bit about being a ‘Pulitzer co-recipient’ was an explanation for the disappearance of the outright “Winner of THE PULITZER PRIZE” wording. 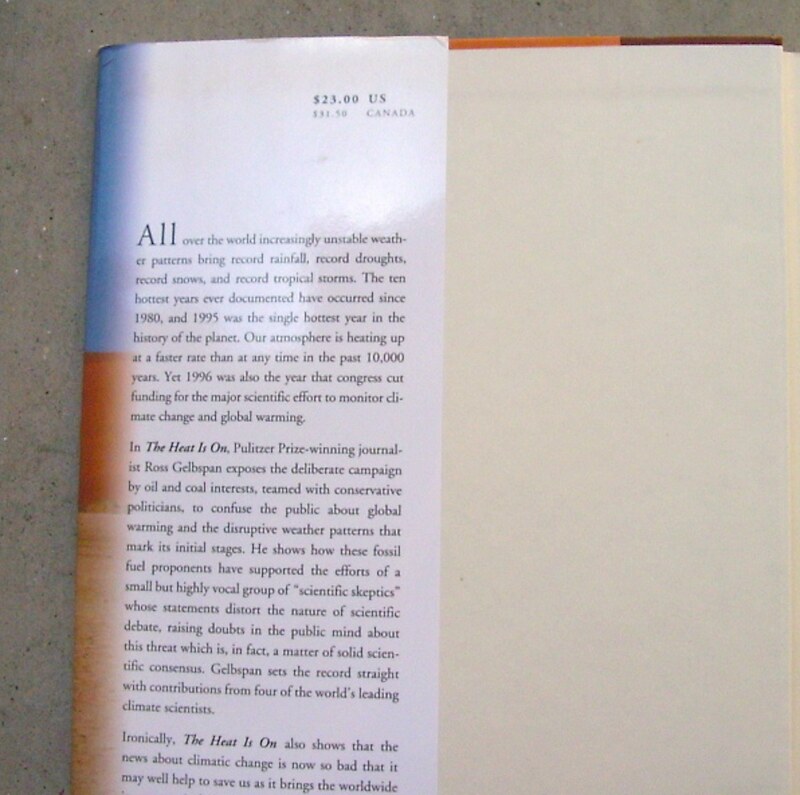 But my first edition 3rd printing of his hardcover shows his identical nuanced ‘Pulitzer co-recipient’ narrative on its Preface page xiii. So, it turns out he offered not one word to explain why the “Pulitzer winner” label disappeared from the paperback’s front cover, only to reappear on the back instead. 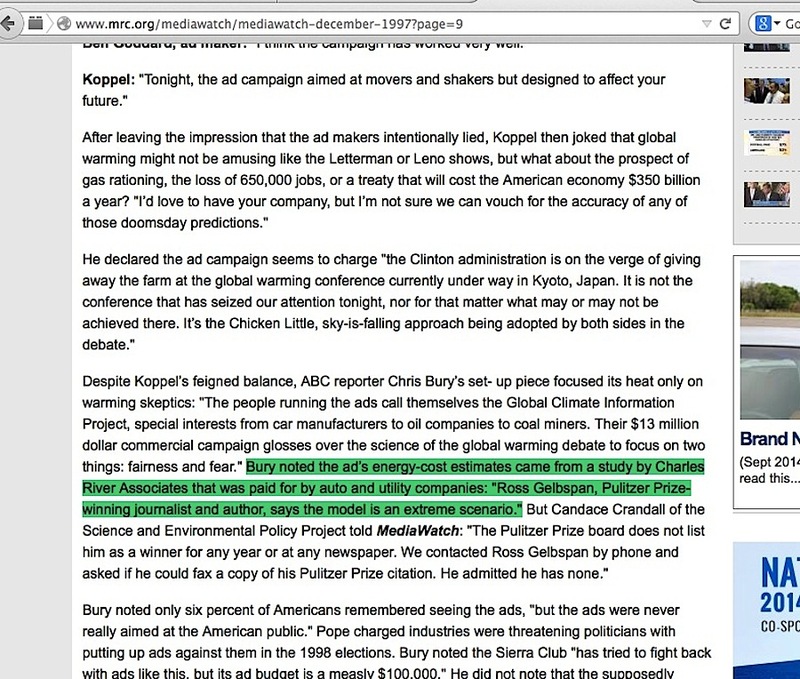 This entry was posted in Al Gore, Embellishments, Pulitzer Prize and tagged ABC News, Fenton Communications, S. Fred Singer by Russell Cook. Bookmark the permalink.